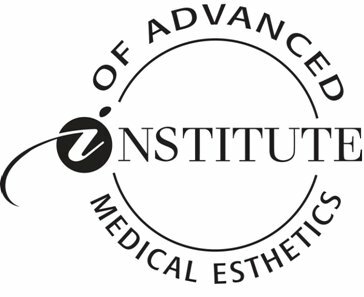 Institute of Advanced Medical Esthetics. Esthetician School located in Virginia. Easily accessible location via interstates 95, 64 and 295. We specialize in teaching to the Medical Spa based level and are proud of our clean, modern facility. On our student graduate surveys, our students like to compliment us on the variety of product lines and equipment we have to offer in our curriculum. We offer small class sizes to ensure personal attention for every learning style. We use the latest Digital learning platforms as well as interactive lectures for our live theory classes. Our program has a Student Friendly schedule that consists of 2 days of live classes combined with online classes. Laura Todd, the school owner, is known as an industry icon, is a contributing author for the textbooks used in the USA & Internationally..... and pretty much put esthetics on the map in Virginia with her grassroots legislative effort to gain Two-Tiered Basic & Master licensure for Virginia. She also runs the Virginia State Association of Skin Care Professionals and keeps a close eye on topics that would effect our Industry. Sunday: 9:00am-4:30 & 4:30-5:30pm for those who do not have perfect attendance. Monday: 9:00am-4:30 & 4:30-5:30pm for those who do not have perfect attendance. Tuesday Module: 7:30am-2:15pm, unless the work is submitted early. Independent Module: Completed module at your leisure due by Thursday 5:00pm. Our Live Class days are divided into BLOCKS. Laura Demos Advanced Treatment Techniques. Laura Demos Alginate Mask Application. Laura Demos a Peel Application. Matt teaches state board practical. 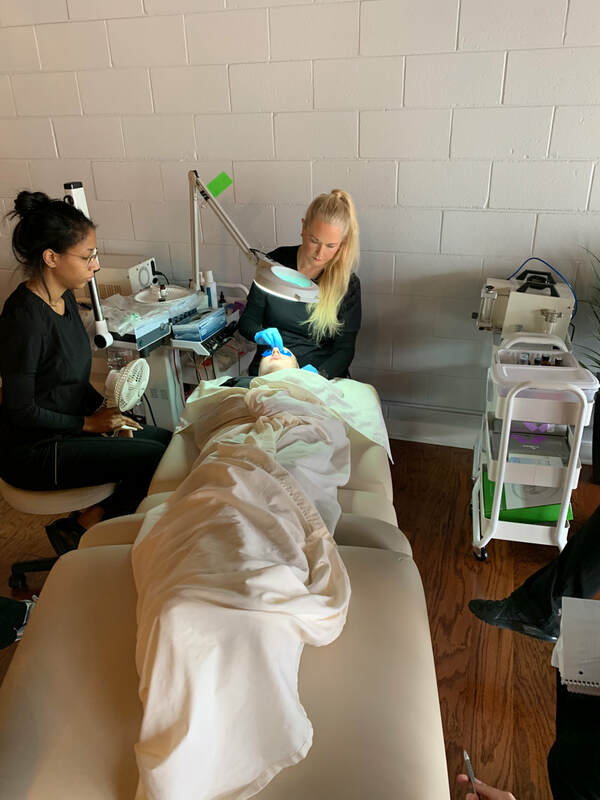 Matt Teaches Advanced Skin Analysis with our Advanced Analysis Technology. 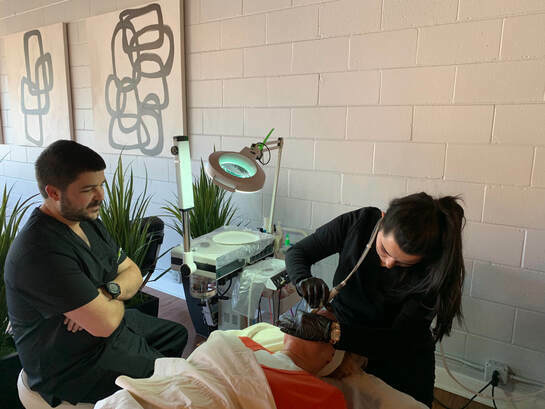 Matt Supervises Hydrafacial Treatment in Clinic. 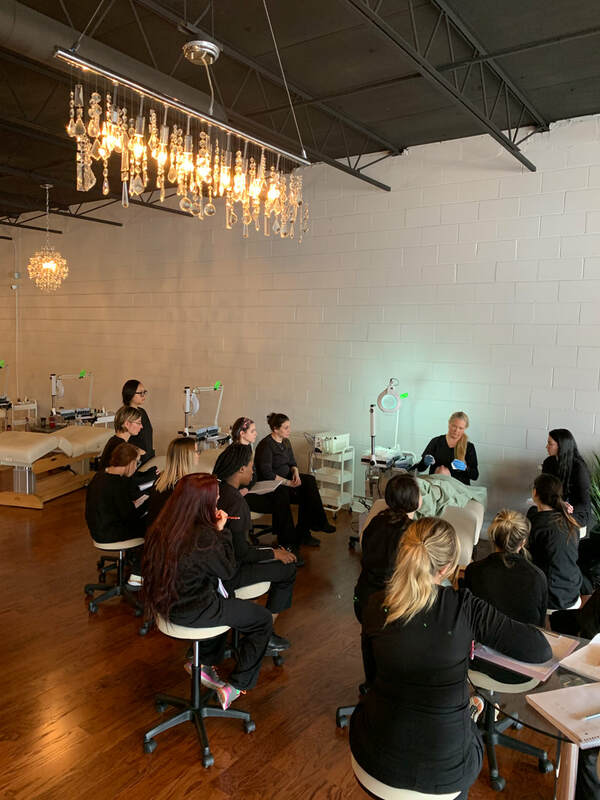 Matt Teaches the Theory of Advanced Skin Analysis with our Advanced Analysis Technology. Work from your own computer to complete a portion of our theory classes online. We offer Interactive Theory Class as well as a state of the art Digital Learning Platform for Live class.